The foldable ZTE Axon M (Z999) handset surfaced on FCC yesterday, about one week prior to its alleged launch date. 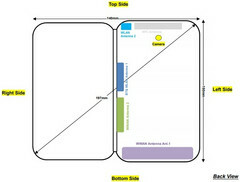 The certification documents reveal LTE, Bluetooth, NFC, and WiFi dual-band connectivity, as well as a foldable case that measures 5.9 x 5.51 inches when open. About two weeks ago, a detailed image of the upcoming ZTE Axon M surfaced online thanks to Android Authority. Now, the foldable ZTE handset once known as Axon Multy moves one step closer to its official unveiling and hits FCC as ZTE Axon M (Z999). 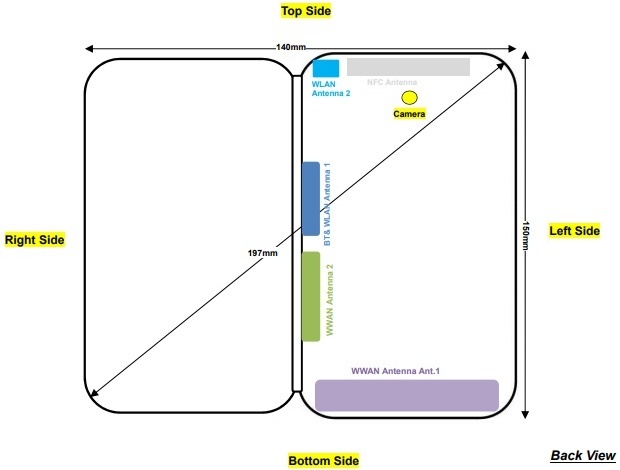 According to the FCC documents, this foldable handset features a rich set of connectivity capabilities, such as 4G VoLTE and LTE-Advanced, NFC, Bluetooth, and WiFi 802.11 a/b/g/n dual-band. The foldable case opens up and turns the phone into a slate that measures 5.9 x 5.51 inches. An AT&T Mobility label is also present in the FCC documents, and it reveals that the operating system installed on the upcoming ZTE Axon M (Z999) is Android 7.1.2 Nougat. Unfortunately, there is no technical detail about the hinge used to connect the two screens to talk about at this stage. As it usually happens with FCC documents, the detailed specs of the ZTE Axon M are not available for the outsiders. However, the earlier rumors about this handset mentioned two full HD touchscreen panels, 4 GB RAM, 32 GB internal storage, a 20 MP rotating camera, a 3,120 mAh battery, as well as a Qualcomm Snapdragon 820 processor. All these specs above should be taken with a grain of salt since the processor is quite old. If the ZTE Axon M launches as a premium mid-ranger or a flagship device, we expect at least 64 GB internal storage, maybe assorted with 6 GB RAM. A high-end MediaTek processor should not come as a total surprise, either. At last, we should keep in mind that the ZTE Axon M is expected to launch in the US as an AT&T exclusive handset in exactly a week from now. Since it is rumored to retail for around US$650, remains to see if this handset turns into a successful follower of the now ancient Kyocera Echo or not. We should finally hear all there is to know about the ZTE Axon M (Z999) on October 17, so stay tuned.